What is phosphorous (phosphate) deficiency? Phosphorous, or phosphate, (P) is one of the macronutrients, needed by plants in relatively large amounts. It is important in good plant growth and many of the plant’s internal metabolic processes. Phosphorous, phosphate, deficiency is relatively uncommon, but is caused when there are insufficient suitable phosphorous-containing materials in the growing medium (soil or compost). It can also be caused when plants are growing in dry soil, which prevents the roots taking up the phosphates present from the soil. 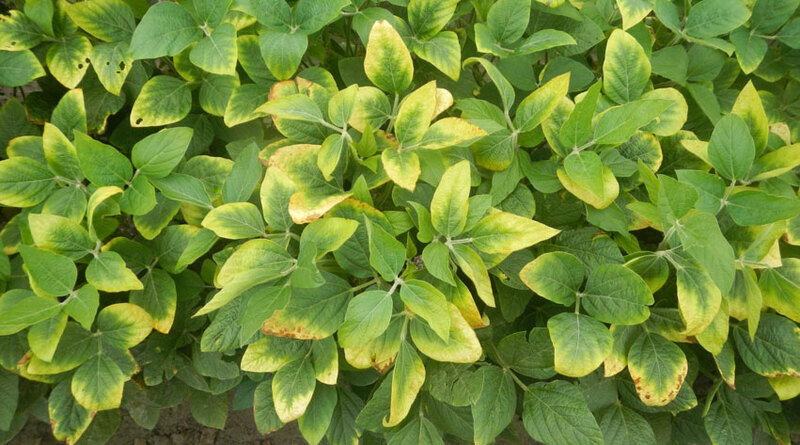 Phosphorous, phosphate, deficiency can occur on heavy clay soils, which lock in the phosphates making them unavailable to plants, in soils that are extremely acidic or extremely alkaline, and in locations with very high rainfall. To check if your soil is short of phosphorous, you can use a simple soil-testing kit. Keep soil phosphate levels topped up by feeding with a balanced fertiliser, such as Growmore (NPK: 7-7-7), especially in spring. Where soil levels are very low, feeding with a specific high phosphate fertiliser – such as superphosphate or bonemeal – may be a better choice. Bonemeal can take a few months to break down into a form that plants can absorb, so apply early in the year. Make sure soils contain lots of bulky organic matter to hold soil moisture and nutrients. This is particularly important on light, sandy and chalky soils, which drain quickly, and on heavy clay soils. Covering the soil with a 5-7.5cm (2-3in) thick mulch will help conserve moisture. Using well-rotted manure or garden compost may also provide a small amount of phosphates. Sowing green manure crops in summer or early autumn is particularly useful in vegetable gardens and allotments, or other areas of bare soil. These cover the soil over winter and help prevent nutrients leaching out, and are dug into the soil to improve fertility overall.